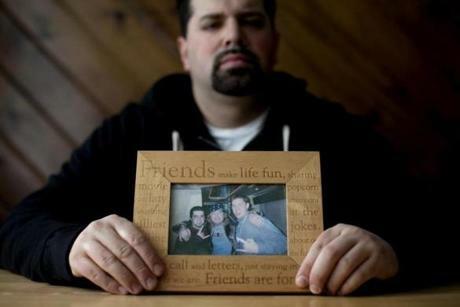 Mike Ricardi survived the Station nightclub fire, but his best friend, James Gahan, died in the fire. 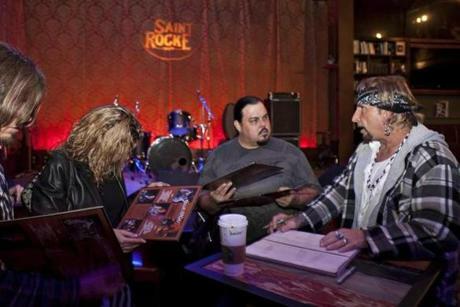 Ricardi held a framed picture of himself, Jack Russell of Great White, and Gahan. 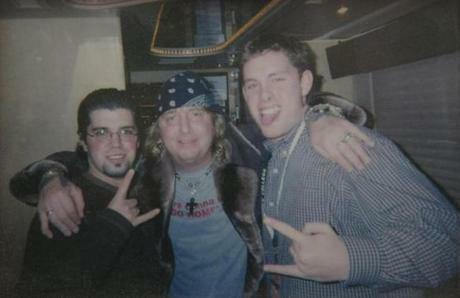 A closer look at the photo of Mike Ricardi, Jack Russell of the Great White, and James Gahan. 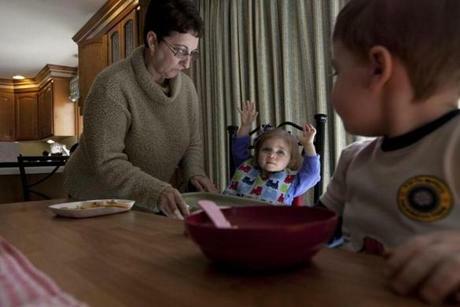 Chris Fontaine talked to her grandchildren, Hannah and Gabriel, at her daughter's Southbridge home. 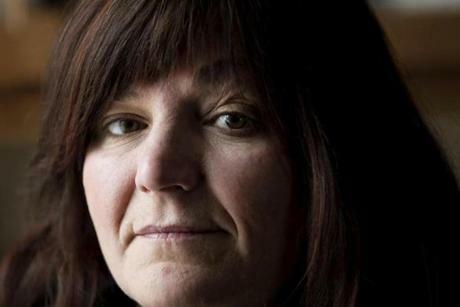 Fontaine lost her son in the Station nightclub fire, but her daughter, Melanie, survived. 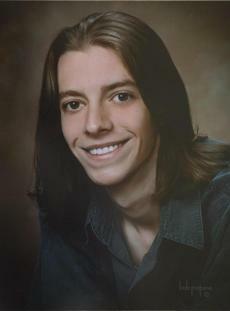 Mark Fontaine died in the Station nightclub fire. 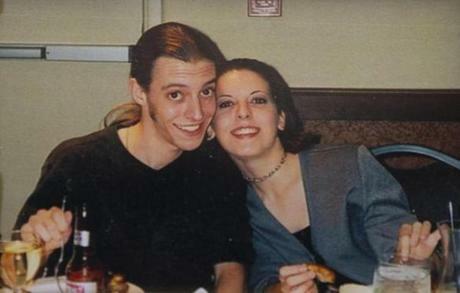 Mark Fontaine and Melanie Fontaine in a family photo. 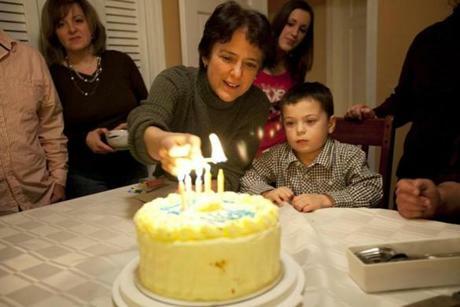 Melanie Fontaine played with her daughter Hannah in her Southbridge home. 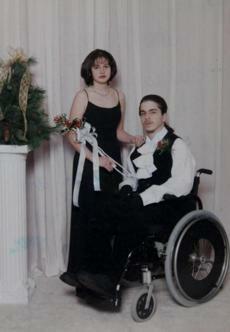 Melanie Fontaine and her boyfriend, John Longiaru, in a high school prom picture. 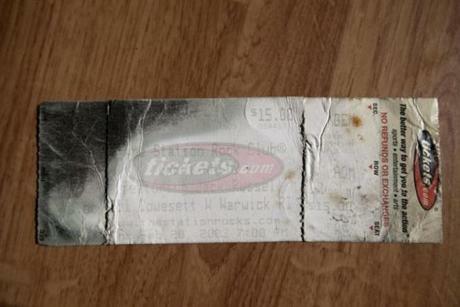 A burnt concert ticket that Mark Fontaine was carrying on the night of the deadly Station nightclub fire. Chris Fontaine installed a tray onto the booster seat for her granddaughter, Hannah, while grandson Gabriel watched. 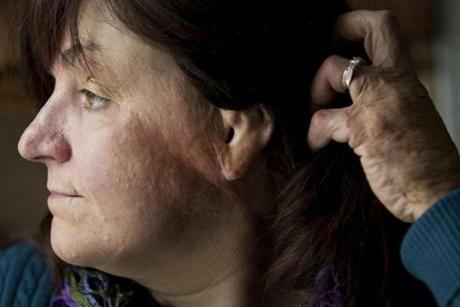 Gina Russo survived the Station nightclub fire, but suffered serious burns. 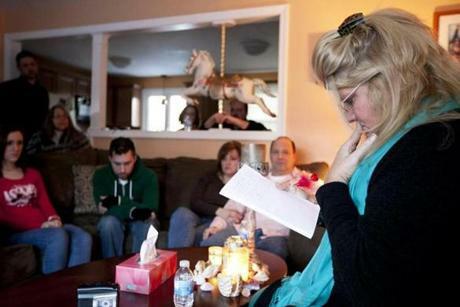 Gina Russo, shown in her Cranston, R.I., home, has had more than 50 surgeries from her injuries. 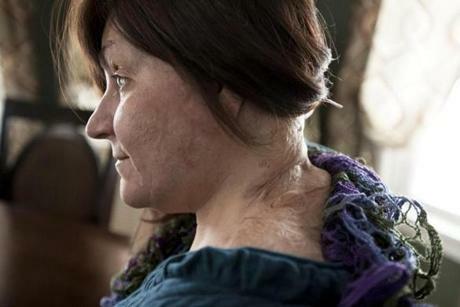 Gina Russo showed off the scars from her injuries. Family and friends of Nick O'Neill, who died in the Station nightclub fire, celebrated what would have been his 28th birthday at their home in Johnston, R.I., on Jan. 27. 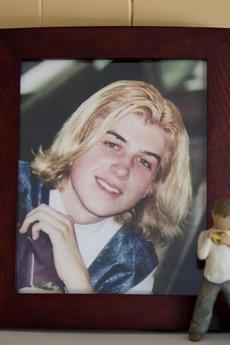 A picture of Nick O'Neill, who died in the fire, sat over the fireplace in the home of his parents, Dave Kane and Joanne O'Neill. 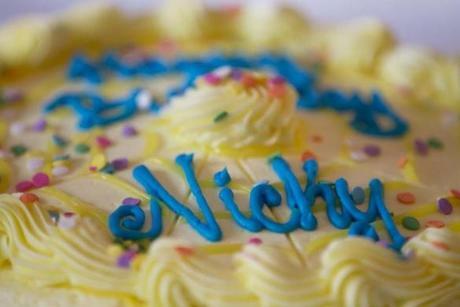 A detail of the cake for Nick O'Neill. Asher Nicholas O'Neill (right) blew out the candles during the birthday celebration for Nick O'Neill. 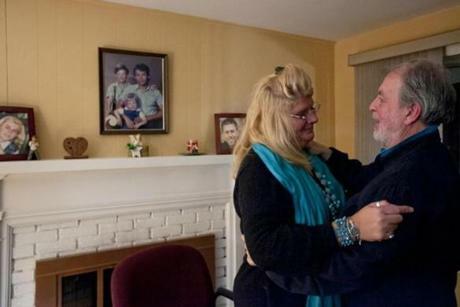 Dave Kane and his wife, Joanne O'Neill, invited Lisa Powers (right), a medium, to communicate with their son Nick O'Neill on his 28th birthday celebration. 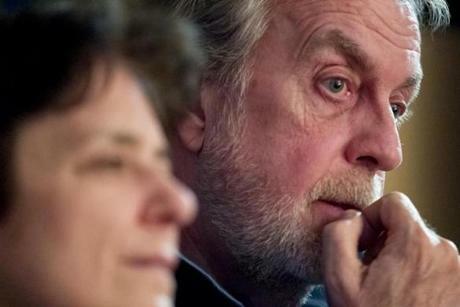 Dave Kane and Joanne O'Neill listened as Lisa Powers spoke. Dave Kane hugged Lisa Powers after her session. At left are pictures of Nick Kane and his brothers. 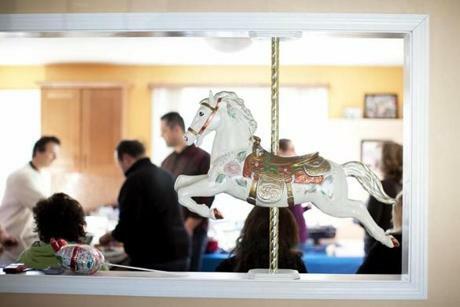 A carousel horse was installed in the home. 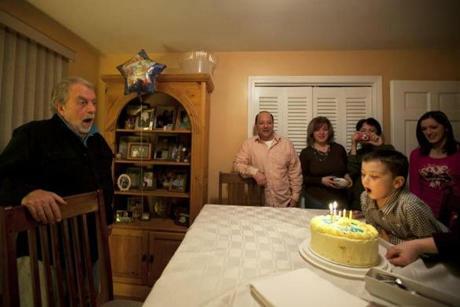 Before the fire, Nick had joked with his brother about singing songs from the musical "Carousel," without having seen it. The movie is about a young boy who dies and returns to watch over his family. Nick eventually bought his mother a toy musical carousel that went off on its own on Mother's Day, the year Nick died. 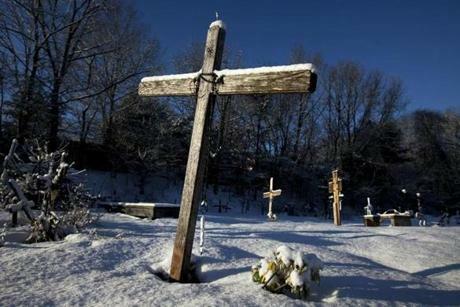 Memorials to the victims at the site of the Station nightclub fire in West Warwick, R.I. 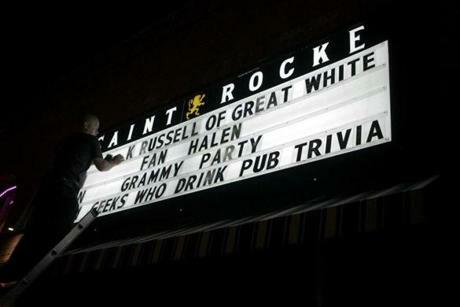 The letters on a sign outside Saint Rocke in Hermosa, Calif., were removed as Jack Russell neared the end of his set at the club on Feb. 7, 2013. 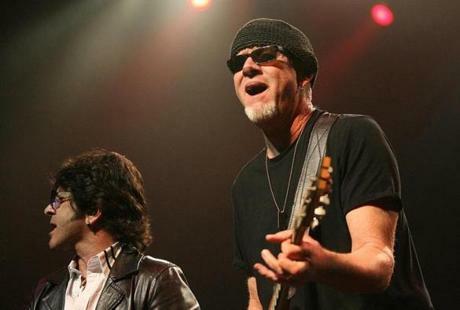 Jack Russell was the lead singer of Great White the night of the fatal fire in 2003. He now fronts his own version of the band, which goes by the name Jack Russell's Great White. Jack Russell (right) talked with a fan after his performance at the Saint Rock club in Hermosa, Calif. The version of Great White without Jack Russell is fronted by singer Terry Ilous (left). Guitarist Mark Kendall played along during a concert at the Sycuan Casino in El Cajon, Calif., on Feb. 1, 2013. 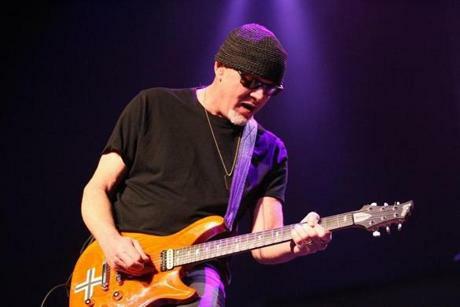 Guitarist Mark Kendall and Jack Russell were founding members of the band Great White, although they now play in two different iterations of the band. 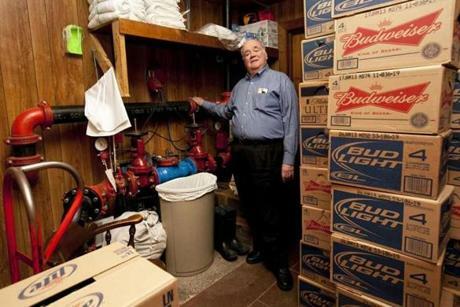 John Stenson, owner of the Eire Pub in Dorchester, installed a state-of-the-art sprinkler system after the Station nightclub fire. In 2006, Great White's tour manager, Daniel Biechele (left), pleaded guilty to 100 counts of misdemeaner manslaughter in the Station nightclub fire. Biechele was sentenced to four years in prison, and was released in 2009 after serving less than two years. 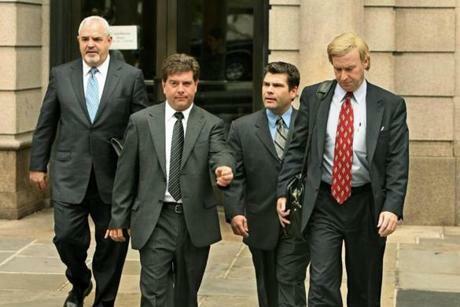 Brothers Michael (second from left) and Jeffrey Derderian (second from right), co-owners of the Station nightclub, pleaded no contest to 100 counts each of involuntary manslaughter. 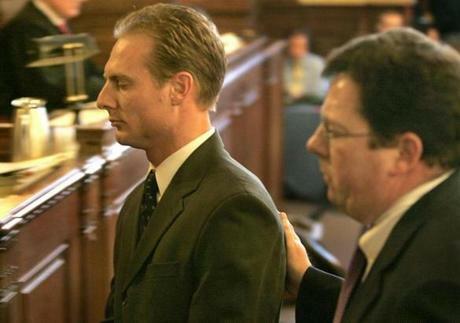 Michael Derderian was sentenced to four years in prison, but spent less than three years behind bars due to good behavior. Jeffrey Derderian was spared jail time with a suspended sentence and 500 hours of community service. Jay McLaughlin read his victim impact statement prior to the sentencing of Michael and Jeffrey Derderian, co-owners of The Station nightclub. McLaughlin is the brother-in-law of Michael Hoogasian, who died inthe fire. 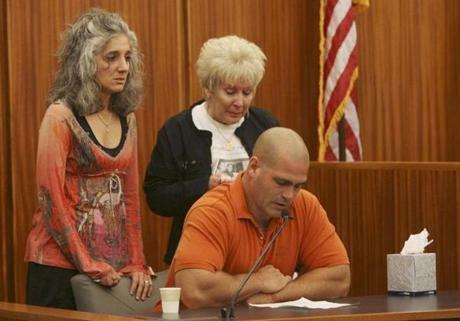 Behind him were his wife, Paula, and Claire Hoogasian, Michael's mother. 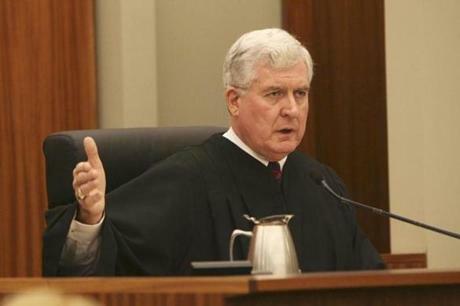 Judge Francis Darigan admonished those giving victim impact statements to stay within specified guidelines during court proceedings for Michael and Jeffrey Derderian. Sisters Jessica (left) and Kristen Garvey restrained their mother, Dina A. DeMaio, from speaking out after reading a victim impact statement about her daughter, Dina A. DeMaio, who died in nightclub fire. DeMaio, spoke during the sentencing of nightclub owners Michael and Jeffrey Derderian. 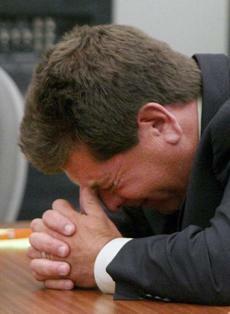 Michael Derderian broke down in tears while his brother, Jeffrey Derderian, gave a statement during their sentencing. 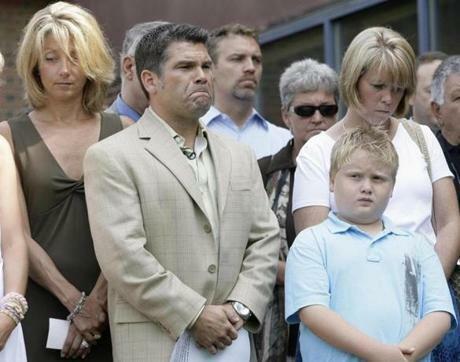 Station nightclub co-owner Jeffrey Derderian (second from left), his wife Linda (right) their son, Max, and Michael Dererian's wire Kristina (left) listened to a prayer prior to a news conference on July 19, 2007, in Warwick, R.I. Derderian announced the formation of The Station Education Fund, a charity that will benefit children who lost a parent in the Station nightclub fire. 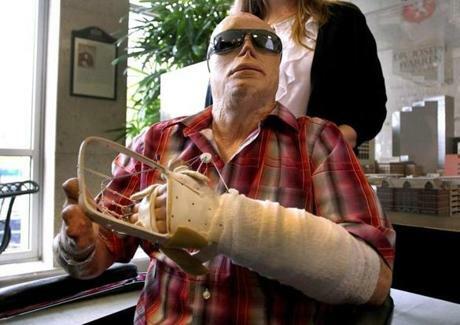 Joe Kinan, 43, was discharged from Massachusetts General Hospital on Oct. 25, 2012, after receiving a hand transplant. It was the first procedure of its kind at the hospital. 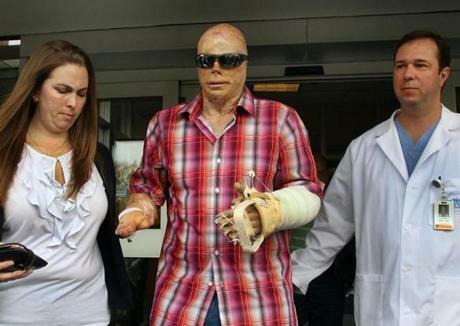 Kinan was severely burned in the Station nightclub fire. Gina Russo (left), board president of the Station Fire Memorial Foundation, spoke during a press conference at the site of the nightclub fire in West Warwick, R.I., on Sept. 28, 2012. 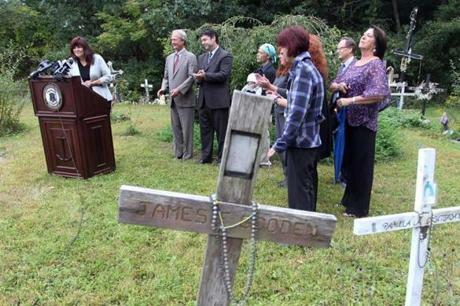 The owner of the site, Ray Villanova, donated the land for a permanent memorial, bringing an end to a years-long effort by families of those killed and survivors of the blaze to secure the site for a memorial.